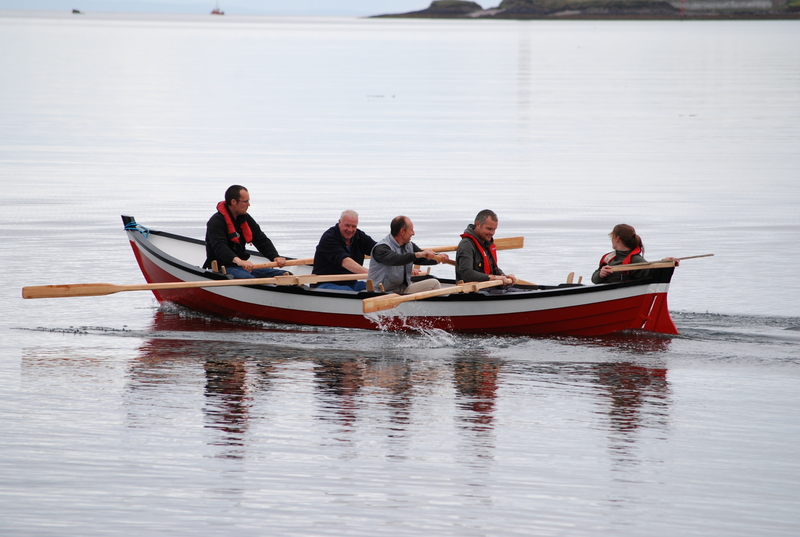 The Scottish Coastal Rowing Association is the international class association for the St Ayles skiff. The following is a list – world wide – of the St Ayles skiffs which have been built and launched. Please advise the Association of any boats that we have missed! See the “Club Finder” tab above if you are interested in getting in touch with any of the UK organisations listed below, and the “links” tab for overseas organisations. 00 Chris o’Kanaird, Jordan Boats Prototype (now based at Anstruther). White Hull, Dark Blue Sheer strake. 02 Ulla, Ullapool 1 White Hull, dark green sheer strake. 03 Coigach Lass, Achiltiebuie, Blue Hull, oiled sheer strake. 04 Icebreaker, Portobello, white hull, minty green sheer strake. 10 Boatie Blest, Port Seton 2, Black with White boot line. 14 Volunteer, Dunbar, Cream Hull, green sheer strake. 26 Fisher Lass, Pittenweem, Blue Hull, Yellow sheer strake, white stem, stern and keel. 28 St Margaret’s Hope, North Queensferry RC, Light Blue Hull and Sheer. 39 Ferry Sonnet, North Queensferry RC, Light Blue Hull and Sheer. 42 Lily-Rose, Coigach, Royal Blue with black sheer strake. 44 Selkie, Isle of Seil,Ice Blue Hull, Slate Grey sheer strake. 45 Hoi Larntan, Blakeney (Norfolk), White with blue and yellow sheer strake. 46 Spirit of Catterline, Catterline (Aberdeenshire), White with Blue sheer strake. 48 Archie Smith, Kyles Rowing Club, White with blue sheer strake. 49 Spirit O’ Wick, Wick Coastal Rowing Club, White with black sheer Strake. 50 Boatie Lodge, Boatie Blest (Cockenzie and Port Seton) Cream with Maroon Sheer Strake. 52 Gill of Melfort, Kilmelford, Royal Blue with Tan Sheer strake. 53 Soy Loon, Portsoy, Lime Zest GREEN. 57 Bluejacket, Blakeney, White with blue and yellow sheer strake. 58 Pride of Annan, Annan, yellow with black hull and varnished gun whales. 59 Coull D., Anstruther, White Hull, Dark Blue Sheer strake. 60 Hinba, Isle of Luing, Orange, Dark Blue Sheer. 61 Blackadder, North Berwick, Blue with Dark Blue Sheer. 67 Longa, Gairloch, White with Dark Blue top strake and Pastel Green second strake. 68 The Vennel, Irvine, Blue with Dark Blue sheer and third strake. 74 Brochty, Broughty Ferry, white with light blue sheer strake. 78 Skart, Killyleagh, Red with black sheer strake. 83 Danny Buoy, Dundrum, Green with cream strake. 86 Pride of Aln, Alnmouth, Green with Blue sheer strake. 87 Gilpin, Portaferry, Light Blue with Dark Blue sheer strake. 89 The Flying Boat, Wormit, White with pink and blue strakes. 93 Thistle, Firth of Clyde (Largs), Green with Purple sheer strake. 94 Arthur Nicoll, Broughty Ferry, White with light blue sheer strake. 96 Harry Clasper, Gateshead CRC, Light Blue with red and black trim. 101 Bonnie Ann, Isle of Islay, Blues. 103 Banac, Banff Academy, white with dark blue stem, keel and stern. 107 Oarsome Chance, Red with Cream Sheer Strake. 108 Iolair, Isle of Arran, Dark Blue with Burgandy Sheer Strake. 109 Oarsome Chance 2, Red with Cream Sheer Strake. 110 Morag, Findochty, white with light blue sheer strake. 112 Knotty Buoy, Sketrick CRC , cream with varnished sheer strake. 114 Zephyr, Avoch, Yellow with black second strake. 115 Blue Moon, Blue Moon RC(Lewis), Varnished. 120 Kay Matheson, Loch Ewe, Dark Blue with green sheer. 121 Mairi, Findhorn CRC White with blue sheer strake. 122 Blue Bay, St Andrews, Cornflower Blue with white sheer strake. 123 Bella, Langstone, Yellow with White and Black trim. 124 Hannah More, Allaboard Bristol, 21 May 2016, Royal Blue Hull, Gold Sheer, White second Strake. 131 Freya, Orkney RC, Red with Blue sheer and yellow trim. 141 No Name Yet, Portsmouth, Dazzleship. 151 Bonnie, Langstone , Yellow with Black and White trim. 153 Florence, RowFlo Lewis, Dark Green. 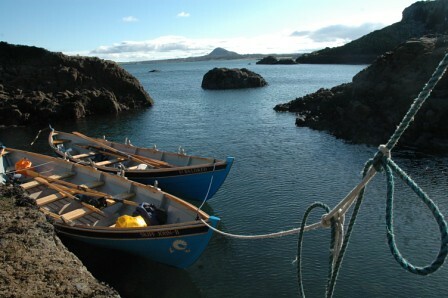 172 Navajo, Renegade Coastal Rowing (Ayrshire), varnished hull, turquoise sheer strake. 177 Dulsie, Nairn Coastal Rowing Club,ShearStrakeOrange,HullCream,Garboard Strake and next plank is Teal Green. 179 Fir-Chlis, West Side Rowers, Navy Hull with cream /charcoal chequered sheer strake. 181 Morven Findochty Watersports Club, light blue hull with white sheer strake. AU01 Imagine, Women on Water, Franklin, Tasmania. White Hull, Red Sheer Strake. AU02 Cariad, Melbourne Welsh Church, White with Red sheer strake. AU03 The Swan, Cygnet Community Boat Build, Tasmania. Black Hull, green inside. AU04 John Liddy, Goolwa, White Hull, Dark Green sheer strake. AU05 Chiton, Taroona, White Hull, Varnished sheer strake. AU07 FAST Messenger, Warrnambool, Victoria, White Hull Yellow Sheer Strake. CA01 Sea Shadow, Ayle of Quinte, Ontario. White hull, dark green sheer strake. CA02 Sea Spirit, Ayle of Quinte, Ontario. Dark Green hull, white sheer strake. NL001 GROOT & grut 1, WSV Woudrichem, White hull, dark green sheer strake. NL002 Dwarsbongel, Heusden, N Brabant. Orange Hull. NL004 NOW NAMED -ODA , Sloeproeiers Groningen. White hull, green sheer strake. NZL005 Unnamed, New Zealand Coastal Rowing, Dark Blue, White under water. NZL008 Unnamed, New Zealand Coastal Rowing, Varnish outside and In.